Fresh ink on Baller, team Captain for the Delti Delti Di! 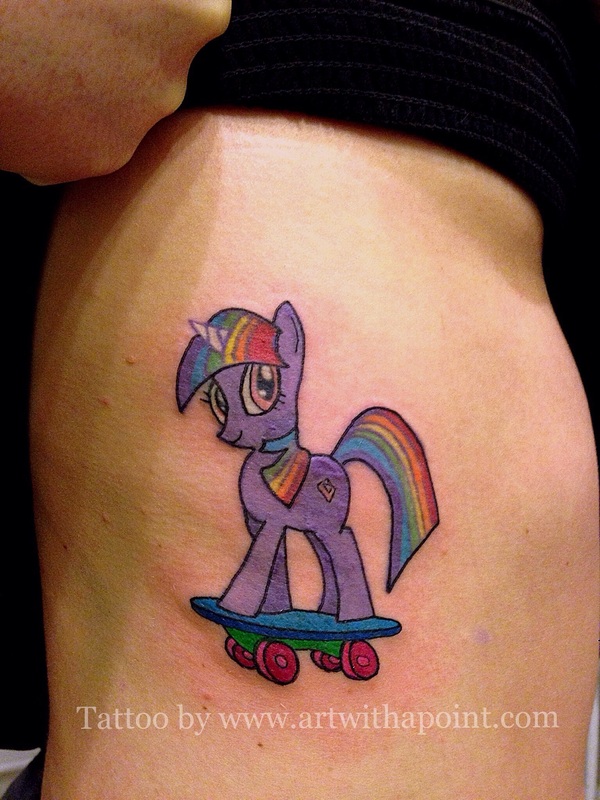 This tattoo needed some wheels – gotta love the options you have with a custom tattoo. Now her MLP is ready to roll. Come check out the North Star Roller Girls bout this Saturday night at 7pm! Details! https://www.artwithapoint.com/wp-content/uploads/2018/09/logo-and-type-v2.png 0 0 admin https://www.artwithapoint.com/wp-content/uploads/2018/09/logo-and-type-v2.png admin2015-01-08 11:29:592015-01-08 17:30:53This Pony Needed Wheels!